Check out more highlights and a full list of winners from this year's Emmy Awards. 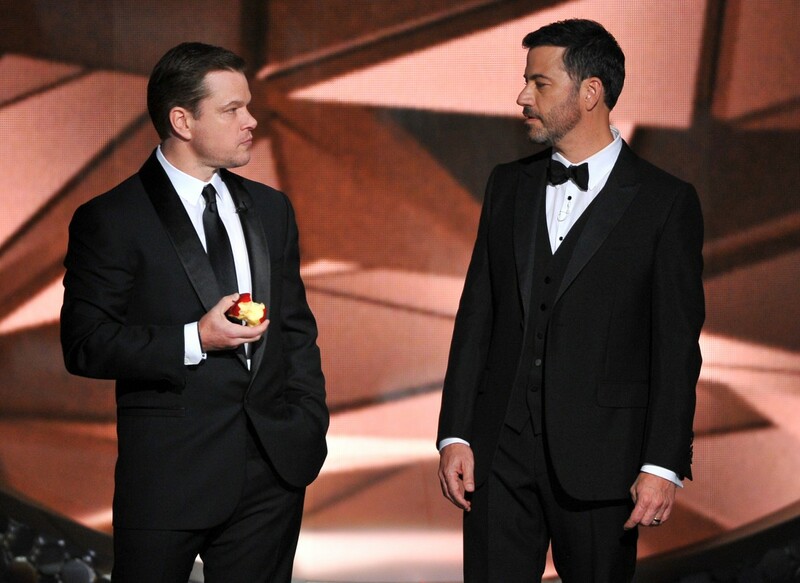 By Matt Juul·	 9/18/2016, 10:57 p.m.
Matt Damon stopped by the 68th annual Emmy Awards on Sunday night to hassle his “good friend” and host Jimmy Kimmel. The actor appeared on stage shortly after the comedian found out that he had lost in the Outstanding Variety Talk Series category to HBO’s Last Week Tonight With John Oliver. Delighted by the news, Damon gave Kimmel hard time while munching on an apple. The Good Will Hunting star also thanked Kimmel’s mother for making snacks for all of the glammed up celebrities in attendance. “Tell your mom I liked them apples,” Damon said. 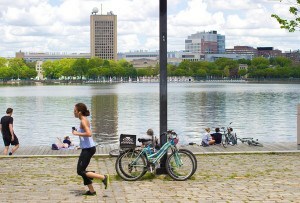 While perennial contenders from Massachusetts were mostly absent from this year’s list of nominees, that didn’t stop a few locals from making a splash at the 2016 Emmys. Amy Poehler finally picked up a trophy, although it wasn’t for her work on Parks and Recreation. She won an Emmy for Outstanding Guest Actress in a Comedy Series alongside her pal Tina Fey for their hosting duties on Saturday Night Live. While the honor was handed out at the Creative Arts Emmy Awards Show last week, the pair decided to show off their nifty awards while presenting on Sunday night. 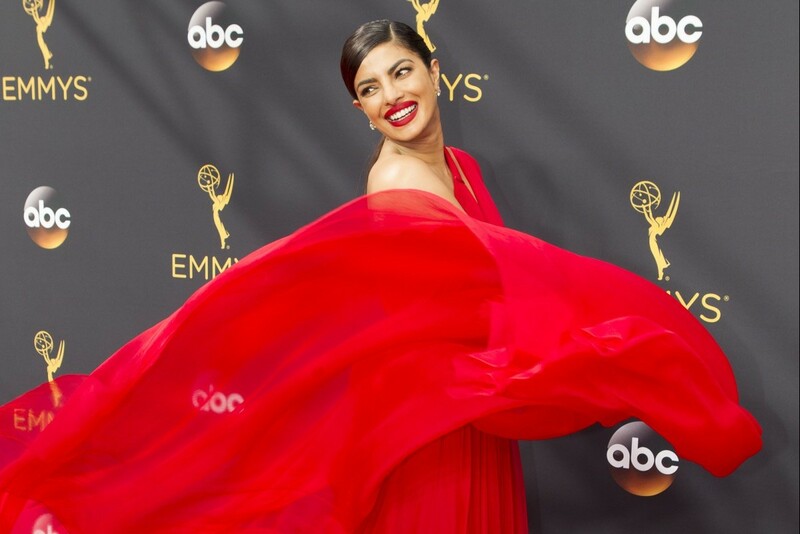 Quantico star and former Newton resident Priyanka Chopra may have been absent from the nominations list, but stunned nevertheless in a breathtaking red dress as she presented the award for Outstanding Directing in a Limited Series, Movie, or Dramatic Special with Tom Hiddleston. Former Republican presidential hopeful Jeb Bush even showed up to the Emmys, but he was relegated to limo duties during the hilarious opening sketch.